Ask A Woman AVL: Do menstrual cramps really hurt? Like, really? There’s a ton of fun stuff happening this weekend, including the big Asheville Holiday Parade. Check out our video for a sneak preview of the first Medieval Market at the Odditorium in West Asheville. -Mountainfilm on Tour, 7-10 p.m. at Highland Brewing; the local nonprofit Muddy Sneakers presents the Mountainfilm on Tour to celebrate the outdoors. Proceeds benefit Muddy Sneakers. -Check out Science Pub at the Collider. Friday’s free talk is on the Sociology of Racism, led by Megan R. Underhill, PhD and professor at UNCA. Doors at 5:30, talk at 6:30. Mingle and nosh on snacks from Ingle’s and beverages from Asheville Brewers Alliance. -Static Age hosts a free Hip-Hop AVL showcase with P.T.P. (Peter the Poet), SIYAH, Ziggz, Sk, The Novelist, and M!ke Live beginning at 9 p.m.
-Asheville Holiday Parade, 11 a.m. in downtown Asheville, features about 100 entries including floats, marching bands, Santa Claus and much more. –Winter Lights Downtown lighting ceremony, 6 p.m., a partnership between the city of Asheville and the N.C. Arboretum. -The first Medieval Market at The Odditorium in West Asheville, 10 a.m. until 4 p.m., featuring more than 30 vendors selling everything from capes and armor to jewelry and more. -Get some gift shopping done at the Marshall Handmade Market, happening from 10 a.m. to 5 p.m. on Blannahassett Island. Mill around while listening to live music and noshing on food items from Bun Intended and OWL Bakery. -Catch Laura Reed and Natural Born Leaders at Ellington Underground, 8 p.m. until 1 a.m. $12 in advance / $15 at the door. -Asheville native Tyler Ramsey at the Grey Eagle, 9 p.m.
–National Monopoly Day Tournament, 4-6 p.m. at Well Played board game cafe on Wall Street in downtown Asheville. -Experience a Dream Theater Workshop from 3-5 p.m. at Asheville Raven and Crone. Write down, act out, and analyze your dreamscapes under the tutelage of instructor Bobbi Williams. Donation required for participation. 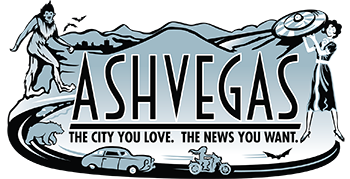 Jason Sandford is a reporter, writer, blogger and photographer interested in all things Asheville.